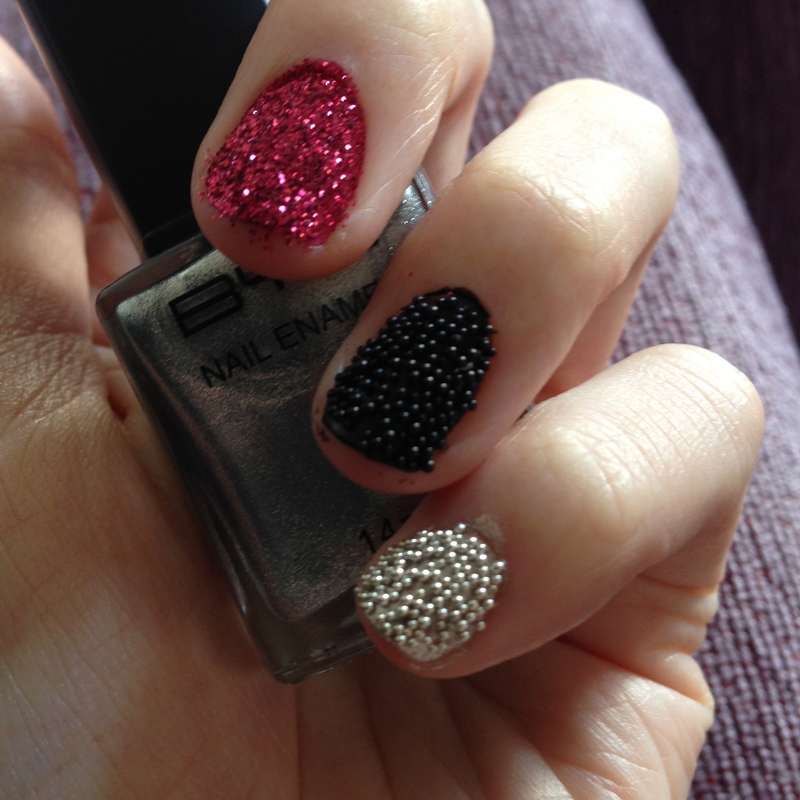 In preparation for a ball, and in discovery of products within my price range, I have done a little experimenting with caviar nail polish over the last few days. I absolutely love doing my nails and having new techniques to try, and if I worked somewhere that allowed it they would probably bright and covered in glitter at all times. That and if they didn’t chip so easily with my current line of work. 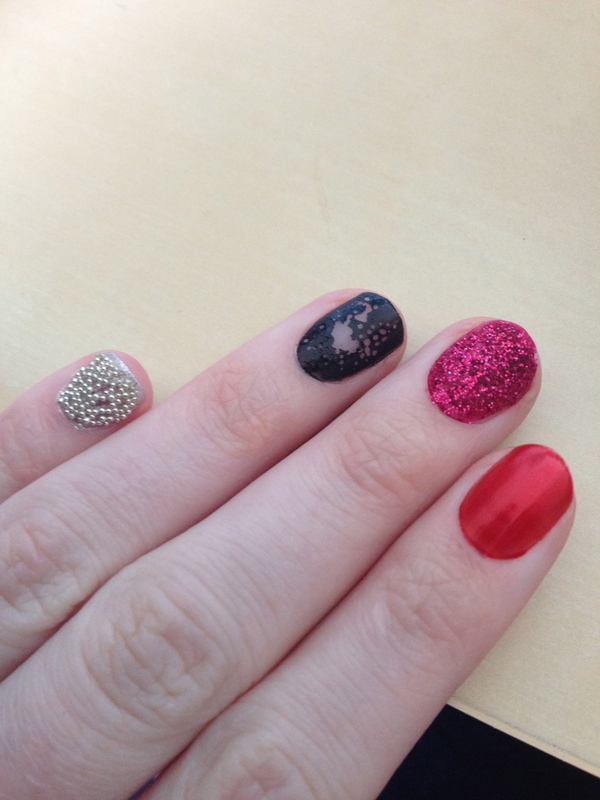 I tried three products, black caviar nails, silver caviar nails and red micro glitter applied in a similar manner to the caviar nails (as opposed to a normal glitter nail polish which has the glitter in the polish itself). 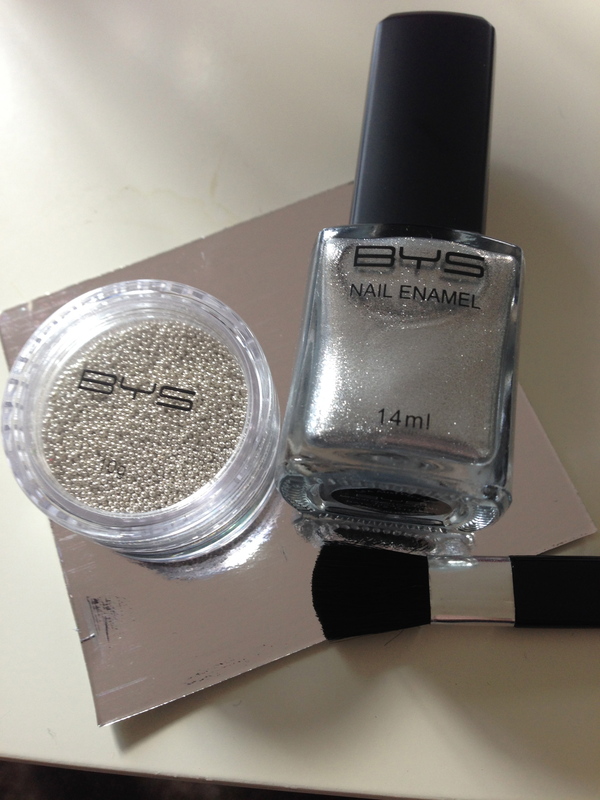 In each case I used a Bys nail polish kit, bought at Gloss for $8 (Find them here http://www.glossaccessories.com.au/BEAUTY/Products/Nails.aspx). They had so many colours, if it wasn’t for the fact that I had a specific event in mind I think I would have come home with a lot more! An issue I had was getting adequate coverage with the caviar, to which I found the dipping and pressing method was a good fix. I was told to not use top coat because it makes the beads run, and if not totally secure can pull them off your nail. I did an experiment of my own, painting the silver nail with top coat, and the black without to test its durability and impact. The results were staggering, with almost all the beads falling of within the first 24 hours from the black nail, while all are firmly still in place on the silver nail. My advice – use top coat but make sure the nail is totally dry first! The glitter has definitely been the most striking and has been the easier to apply and maintain. It still looks perfect and catches the eye in a way that glitter polish cannot. I didn’t use a top coat to preserve the sparkly effect and have had no problems with chipping or cracking. The texture of the caviar is beautiful, but as soon as you lose a few beads it starts to look terrible, and you need to be quite close up to it in order to see its full brilliance. I thought I may be able to get a better effect by painting the nail a different colour underneath to the beads but unfortunately this has it’s own problems, the beads discolour and it looks messy on the nail. So my advice? 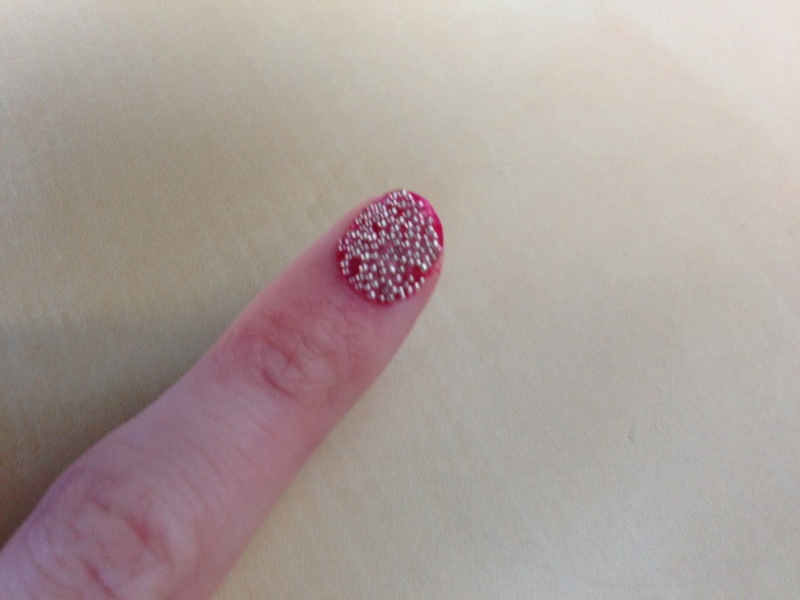 Use glitter (even though it’s a pain to get off) or highlight a single nail in caviar, with the knowledge that it won’t last long, and you will probably be finding micro beads everywhere.